You may think summer is coming to a close, but you are wrong! Cavendish Beach is keeping Summer 2017 going well into September. The fun doesn’t stop when the kids go back to school, it’s finally vacation time for parents. Looking for a mini-vacation? Here are our TOP 5 things to do in Cavendish Beach this September. In Cavendish Beach, we have the best hospitality this side of the bridge! Our accommodation partners take pride in their business and often live close by to personally help you with any questions about the area. 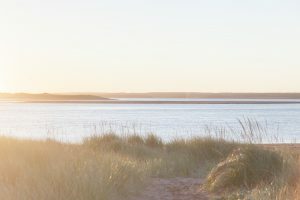 Cavendish Beach has everything – if you are looking for a home away from home, look no further than The Gables of PEI. If you are looking for luxury you can check out the rotating house in North Rustico. Have you always wanted to experience a night at a house over 100 years old? The Barachois Inn is the perfect fit for anyone! 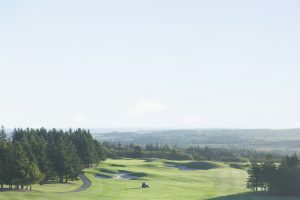 Cavendish Beach offers the best golf courses on the Island, and in September we have Golf packages you cannot deny. Book your stay and enjoy a tee time at every golf course during your vacation. Whether you want the rolling hills that Glasgow Hills Golf Course has to offer or the challenge that Eagles Glenn Golf Course gives even the most professional golfers! We have a course for everyone, check out all five! We recently asked our Facebook followers, “who has the best Fish and Chips?” in Cavendish beach and we were answered! To be honest, any fish and chips plate in Cavendish is good but we have our winner: Richards Fish and Chips is voted number 1 followed closely by Carr’s Oyster Bar. Of course, we offer more than just fish and chips. We offer fine dinings such as The Pearl between North Rustico and Cavendish, we offer cooking JUST like mom used to make it at Chez Yvonne’s and everything in between. “Beach” is in our name, so you know we take it seriously! Our beaches offer everything you could ever need – safe swimming areas on select beaches, lots of room to spread out and enjoy your space. Brackley Beach is a world-renowned beach and also offers camping for the couple looking for a bit of adventure. Stanhope beach is one of the Island most picturesque beaches, offering it’s guests the perfect backdrop for photos and picnics. 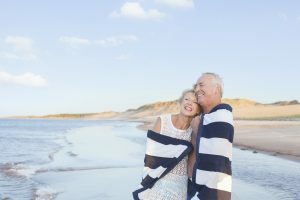 North Rustico is not JUST one of the Islands bustling fishing towns, North Rustico is the perfect place to lounge in the sand and go for a swim to cool down. Lastly, Cavendish Beach offers miles of sand for walking, walking trails for the adventure within and the best cycling trails on the Island. The kids are back to school and now it is time for parents to relax and have a vacation for themselves. We have over 25 romance packages available in Cavendish Beach accommodations. Cavendish is the best backdrop to your romantic getaway, with sunsets that will take your breath away and sunrises worth staying up for. Don’t forget about the old country roads that set the perfect stage for long walks, cozy drives or romantic adventures. These are only 5 of the reasons Cavendish Beach should be your next stop, we could list 100 more! What is your reason for choosing Cavendish Beach? Let us know!